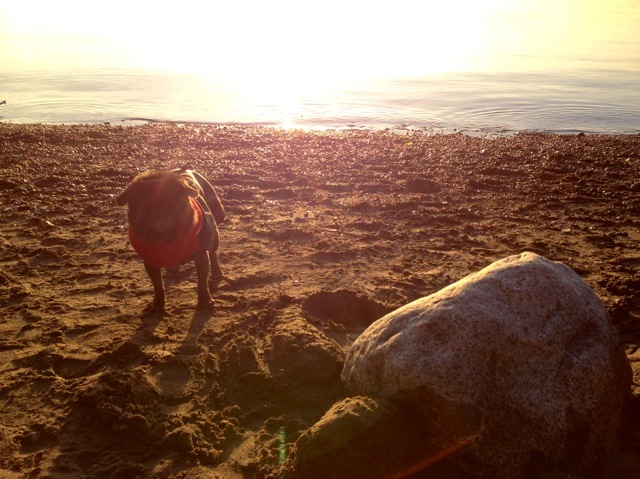 Lola Pug has high expectations of her mama, and venturing to the other side of the country simply isn’t enough to keep her interested and happy, so when we got an invitation to travel *slightly* further abroad, we jumped on it. Well. 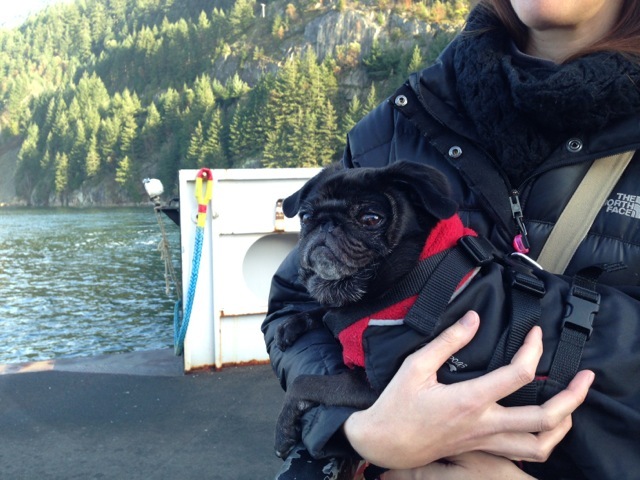 We jumped on a ferry, to be more precise. 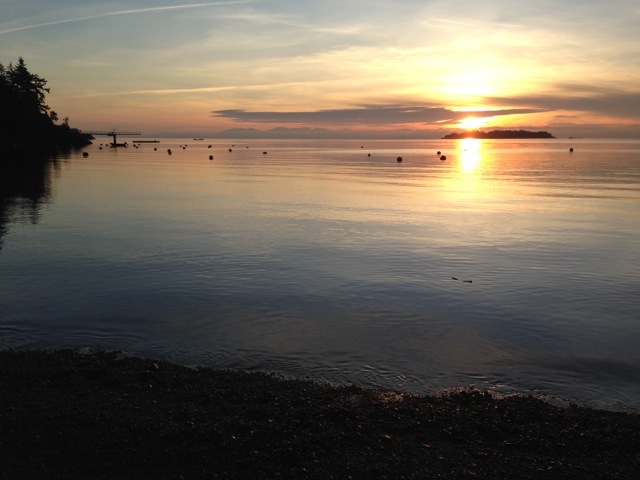 After a short hop across a calm, cold, stretch of ocean, we found ourselves on a gorgeous little enclave of an island, and on a welcoming and happy doorstep. 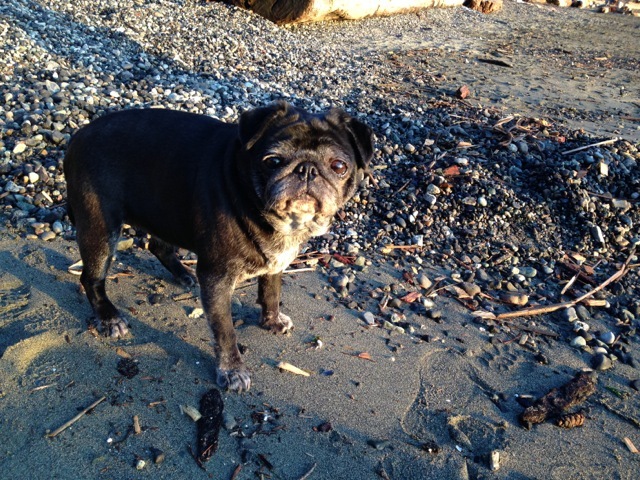 Hey, Lola…Welcome to Bowen Island! 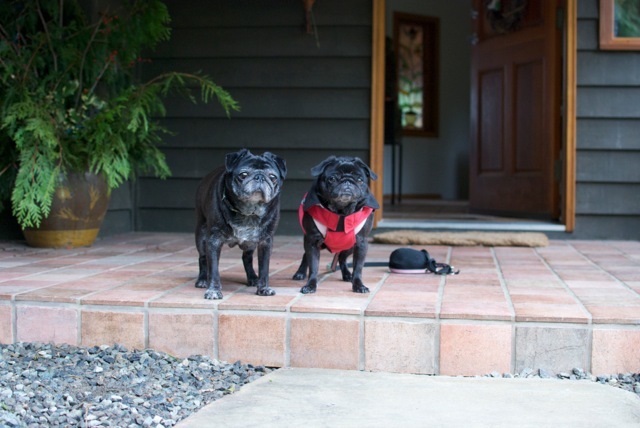 Turn around, honey…who is that coming out to greet you? 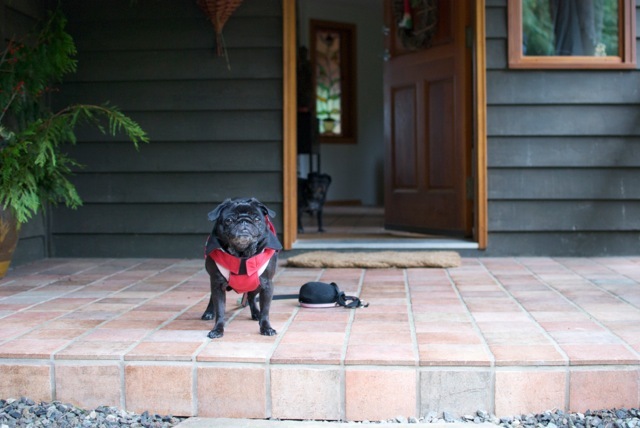 With a sniff, a happy bum wiggle, and a few little kisses, Roxy welcomed us to her new and beyond beautiful home. It was as if the two best friends had never been apart. Without any delay, we all piled into the car to catch the sunset from the local beach. We arrived just as the heartiest of the locals were wrapping up the annual Island Polar Bear Dip, so we were gratefully able to warm ourselves by the remnants of their bonfire. Well. Lola Pug and I warmed ourselves. 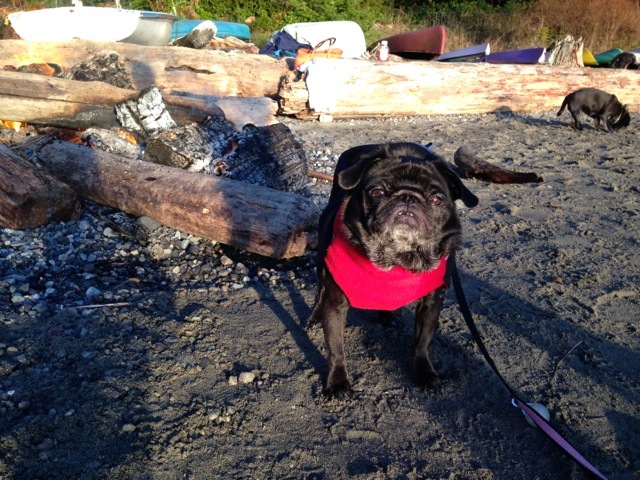 Roxy kept herself warm by busily scrounging around the beach for leftover hot dog motes. The sun started to set, and all was well with the world. It was suddenly quite easy to understand why Roxy and her people had succumbed to the siren call of island life. We bundled ourselves up and headed back to the house to warm ourselves by another fire to get the cold ocean air out of our bones. But not before a look back at a gorgeous end to a happy day of travel and reuniting with dear friends. 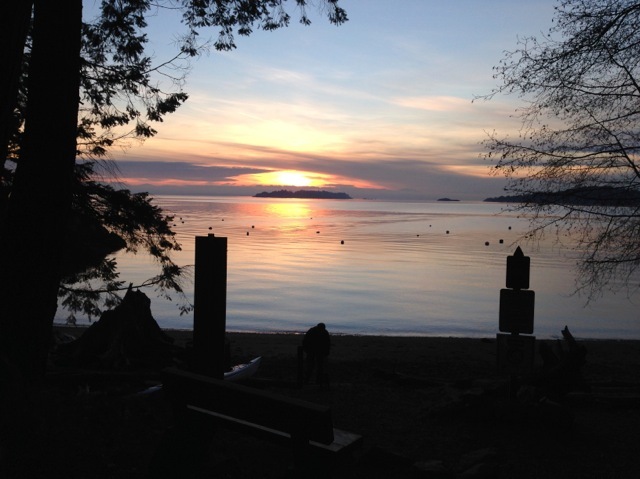 Bowen Island, it’s a pleasure to meet you! Now. Time to warm up and rest up for our ongoing adventures. Wow! So beautiful! Glad you guys were able to experience it all!